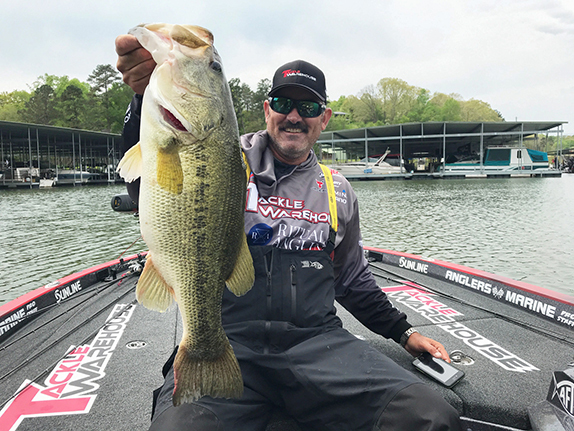 Randall Tharp recently posted a commentary on Bassmaster.com regarding the Ish Monore/Keith Poche incident at the Lake Toho Bassmaster Southern Open. His words as a whole resonated with many who compete at all levels � that whether you are actually a pro or just claim to be one, acting like it should be more of a priority. That's especially true when we're interacting with each other while on the water pursuing the same goals (i.e. growing the sport, bringing in more sponsors and increasing TV viewership). Somewhere along the way of reading Randall�s article there was another angle that resonated with some anglers, even though it seemed to be taken out of context with words that were never used. It is an apparent slight that lower-level anglers seem to feel exists and a few of them took the opportunity to jump into the fray of "us vs. them." Rather than get into arguing the merits of what a pro is or isn�t, who is or isn�t one, or whether or not we are equal, I thought it would be more beneficial to use my life�s experiences to show another angle and hopefully a more positive way of looking at it. Another sport I compete in is cycling, and while there are very few similarities between that and bass fishing, it is a good basis for comparison. Cycling has both individual and team-type competition. You can get jerseys with sponsor logos and even wear your favorite team kits. You can ride the most expensive bike that one can afford. And, of course, there is the concept of being a pro, just as there is in fishing. > Top-level pros who compete on World Tour teams. > Second-tier pros who have earned pro-level status in competition and are on a UCI Continental team, receiving a salary with various living expenses paid to the cyclist by the team. They make their living on the bike, even if it is at the lowest level of only competing in North America. > The amateur-level pro who has earned the right to compete at the highest level of amateur competition with higher entry fees and larger payouts, but not enough to make a living off of. They're sponsored by a local team and may possibly get a free bike and a 20-percent discount on products, but no income or living expenses. This cyclist will have a regular job and only compete on the weekends in local races. In all cases, a racer cannot wear a kit in competition with sponsor logos that has not been approved by the governing body. Looking like a pro without being a pro will get you DQ�d! The important part of the second and third categories of pro cyclists is the word "earned." The second-tier pro can call himself a pro, but he has no illusions about where he stands in the sport. The amateur pro would never, ever refer to himself as a "pro" because, again, he knows where he stands in the sport. For those cyclists, the sport is a hobby that they dedicate a lot of time to, with some hoping to advance to the higher level. Outside of competition, sure, they could call themselves pros, but the ridicule from doing so would not be worth it because everyone knows who has a real job and who is getting paid to be on the bike. And in the sport of cycling, the glaring reality of who is fast and who isn�t usually keeps everyone�s ego in check. Then there is the other sport that I have spent most of my life participating in, which is martial arts. The bass fishing community could learn a lot here because nothing happens in martial arts without respect coming first. A student cannot advance until he is told he is ready and can only learn what he's being taught. While no one really uses the word pro in this sport, no one can be called a "master" until someone tells them they have earned it. I was one step away from being a disciple and another from being allowed to instruct. No matter how much I know, I haven�t earned the right to use my lineage of instruction or teach. Could I do it without permission? Yes, but it�s a matter of respect. 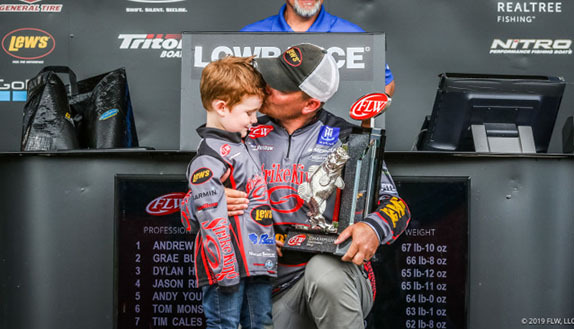 For the sport of bass fishing, many may not like my perspective, but if we as a whole choose to function in a different manner, everyone can benefit. 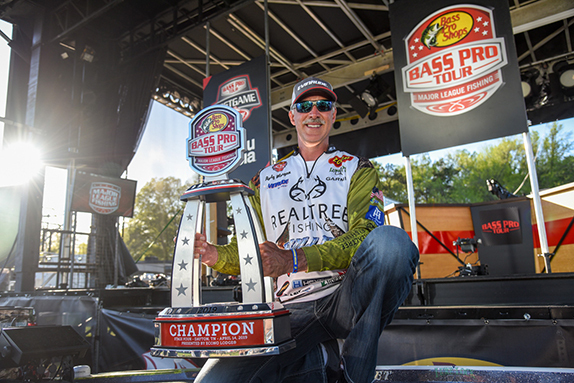 In fishing, anyone can call themselves a pro, even if they have a real job and only compete on the weekends. They can have a jersey full of logos from companies that aren�t real sponsors because the anglers aren�t getting paid to promote the product. And because there is no governing body, you don�t have to earn the title, and respect doesn�t keep anyone from doing it. But is it good for the sport? Sponsors want to get word of their product out in a cost-effective manner. Some free lures are a tax write-off that benefits the company, but doesn�t do anything for the angler who is selling for free. No one in sales would ever gladly wear their uniform or sell that company's products for free, so why are you doing it? The easy answer is to look like a pro, even though you aren�t one, which hurts the value of those who actually earn their living from competition. You can afford the high-priced bass boat with all of the top-end electronics and gadgetry. You have definitely earned the right to buy those products because of your success in life, but have you earned the right to say you are a pro? The things that have to be earned must have value and those of us who have not earned it must make the choice to show respect for the ones who have. Now to answer the possible question of am I leading by example? You will not see me wearing logos from a company that doesn�t pay me. Have I in the past? Yes. Will I do it again? No. In any photo you see of me, the only logo visible is my USMC gear, which I have earned the right to wear. Because I am on the U.S. Military Cycling team, I can wear those kits and gear because, you guessed it, I earned the right as a member of the military. Do I find it offensive for someone to wear USMC gear without earning the right? You bet I do! Can I stop them? Nope, I can only hope for the respect for what myself and the select few have earned. There is a Native American saying that no man can tell another man what to do. He is a man and must make his own choices because he has earned that right. You, as a man in this sport, can call yourself anything you want. But if one day you aspire to get to the top and really compete as a pro, how will you feel when you get there and the title has no value?